Under completely contrasting skies of last year's near wash-out, the British GT Championship's class of 2019 set about their final preparations on Friday and Saturday ahead of the two opening rounds of the season from the Oulton Park circuit in Cheshire tomorrow. Eleven examples of the finest new Aston Martin Racing V8 Vantage GT3's and GT4's will race competitively for the first time in the UK amongst the expected grid of thirty five cars with the established AMR teams of TF Sport, Optimum Motorsport, Beechdean AMR and Academy Motorsport amongst them. 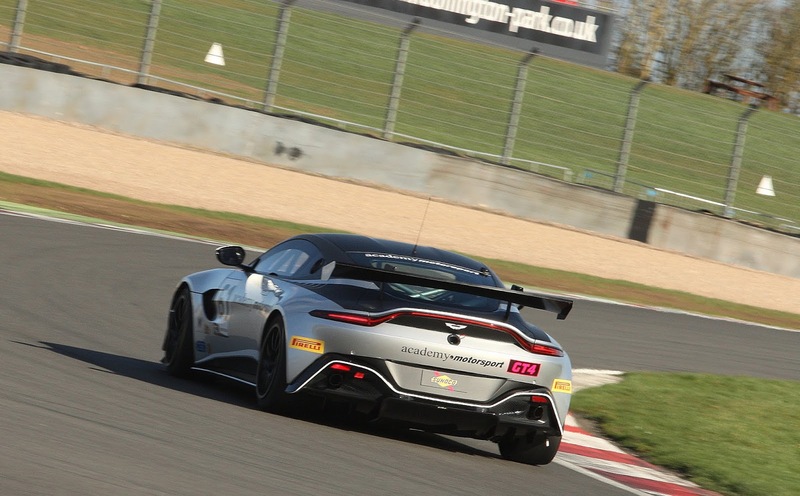 Many of the drivers within the seven AMR GT4 entries will have relatively little GT racing experience going into this season and all bar three of them have embarked on this path as part of their racing driving developmental curve and in partnership with the Aston Martin Racing Driver Academy process. 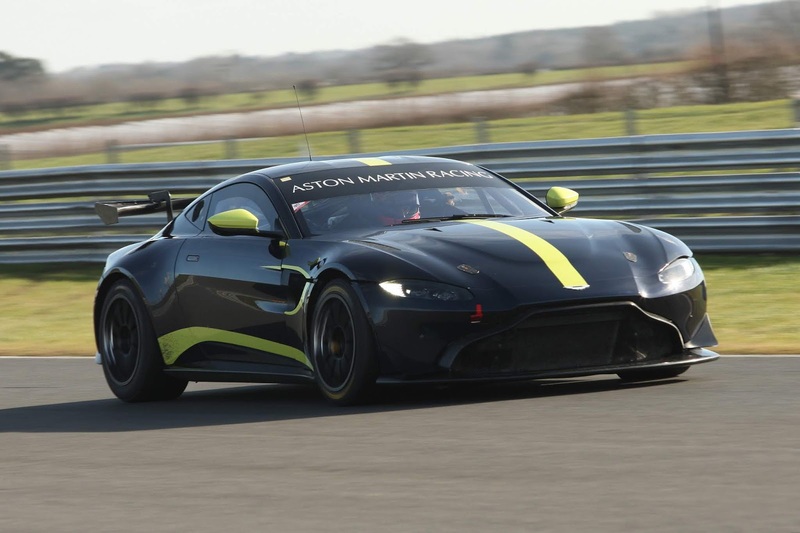 The same will apply for the youngest driver within the AMR fleet with Optimum's Ollie Wilkinson also included. 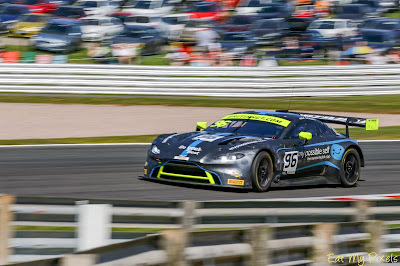 Whilst other business sadly kept us away from the excitement of yesterdays Free Practice and Qualifying for each of tomorrows two-one hour races, all looks set to be an exciting opening encounter around the 2.7mile Cheshire circuit and if you are not lucky enough to be there tomorrow, then fear not as both races will be streamed live via the British GT social media channels. Obviously we wish all competing a safe and fruitful race and season ahead - Game on!! 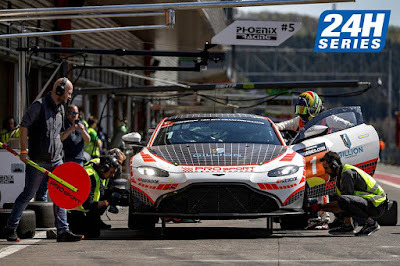 There was further success today for the PROsport Performance Aston Martin Racing V8 Vantage GT4 today as the team claimed their second consecutive class podium in the second round of the Creventic 24H Series at the 12Hours of Spa Francorchamps. Having already attained the first podium for the new 2019 AMR Vantage GT4 last time out in the series at Mugello, the #1 car of Nico Verdonck, Rodrique Gillion, Akhil Rabindra and latest team recruit Michael Munemann secured what was to be a dominant win in the SP3 Class earlier today at the end of the Series no infamous two part endurance race. Competing in a class of just two cars come the start of the race, Spa is never a done deal in any race and despite the great weather over the Thursday to Saturday race weekend nothing could ever be taken for granted as their only class rival suffered from an untimely fire in the early stages of the race hence the margin of their victory.. The team have now confirmed that the #1 car will contest 'most' of the remaining three rounds of the 24H Series European Championship season - that will be subject to the cars availability from its other GT4 European Series and ADAC GT4 Germany commitments. It was also interesting to see that the cars second AMR GT4 also tested at the circuit on Thursday with drivers unknown although the GT4 European Series are not due to race at the circuit this year. 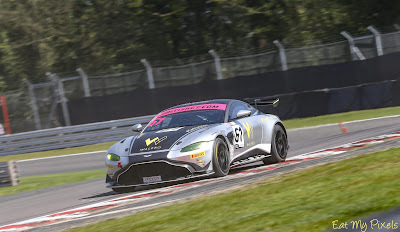 It may of course have been just to get their drivers more seat time in non adverse weather conditions after a very soggy Monza opener last weekend. Having seen with some of the cars that Tom Ferrier's TF Sport team will be entering in this season's British GT Championship last month came todays full reveal of both Aston Martin Racing V8 Vantage GT3's and GT4's ahead of the season's opener from Oulton Park this weekend. Having fitted in a sneaky final shakedown test at Snetterton on Wednesday before some final simulator work at Base Performance yesterday, all four cars were revealed to the racing media this morning just before the cars took to the circuit for a final day of private testing. 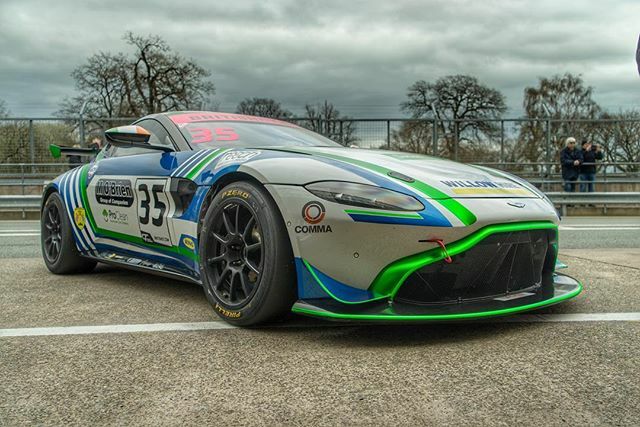 Both sets of cars will compete this year in similar base colours to each other - metallic blue for the Vantage GT3's and a very vibrant lime for the GT4's. 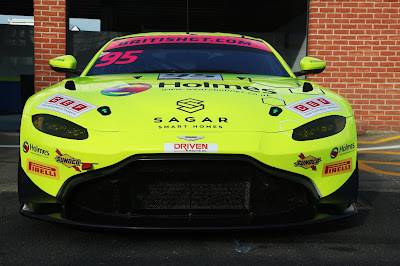 With all four drivers within the two GT4 cars signed up for the Aston Martin Driver Academy this year, racing in a near AMR lime and with the car numbers synonymous with the factory WEC team gives that process that little bit more realism to the cars bigger brother in the GTE class. 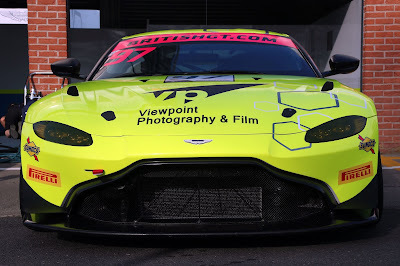 AMR factory driver and reigning GT3 Champion joins up with Graham Davidson this year and will race in the teams #47 car whilst Mark Farmer and Nicki Thiim race in the #2 car. The same base colour has been applied but with different colour team hexagons and sponsor logos (of course). 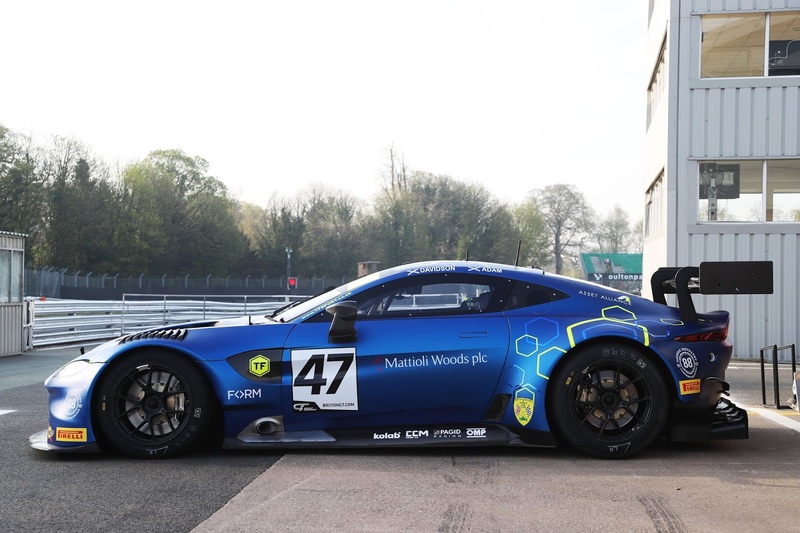 For the first time we see both GT4 cars out together outside of their factory supplied white finish. 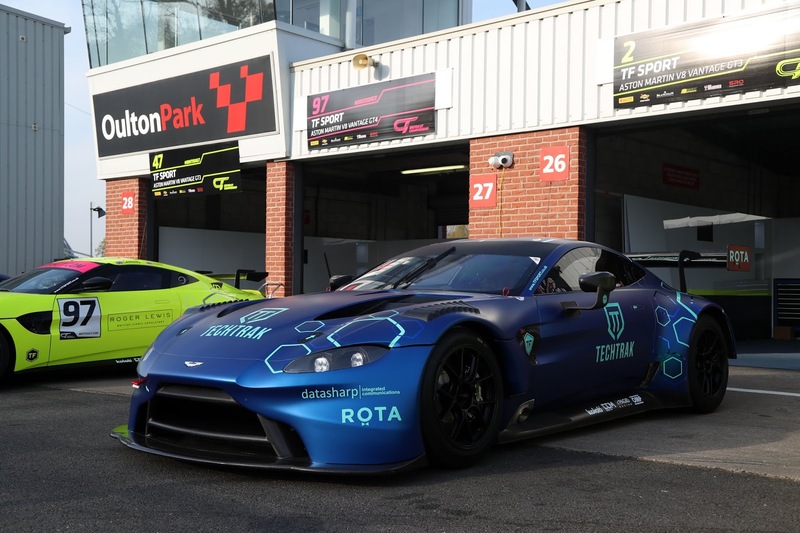 They certainly won't be any issues in not seeing these two cars coming through the pack even in the track conditions of last year from Oulton Park!! Young guns Patrick Kibble and Josh Price share the #95 car whilst Tom Canning and newest recruit Ashley Hand share the #97 car. Overall, it was a good start to the weekends proceedings for the teams four cars with the #97 car taking the top slot on the timing screen for both morning and afternoon sessions today with the #95's best being P4 this afternoon and both GT3 cars being in the top four all day. The real business starts tomorrow with the first of the official Free Practice sessions before Qualifying for Mondays two races later in the afternoon. Officially - the British GT Championship starts now! What feels like an eternity since the end of the 2018 season and a lifetime since Media Day at Donington Park in early March, the British GT Championship finally gets underway this weekend from the Oulton Park circuit in Cheshire on its usual Easter weekend fixture. 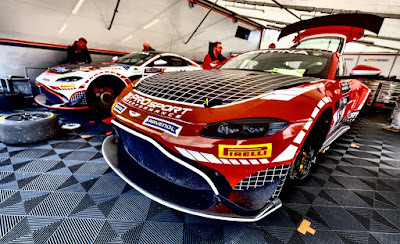 The winter has of course seen significant changes across the national GT scene with many teams realigning both cars and drivers to be hopefully ready for the first race this Monday morning. That has particularly been so within the #TeamAMR family as we see the numbers of Aston Martin Racing runners swell to an incredible eleven cars across the GT3/GT4 grid. No new teams come to the Championship with either version of the AMR Vantage race car - just those existing teams cementing and developing their continued participation within the national series by virtue of expanding into the highly competitive GT4 field, so like 2018 we will see the return of TF Sport, Beechdean AMR, Optimum Motorsport and Academy Motorsport teams. 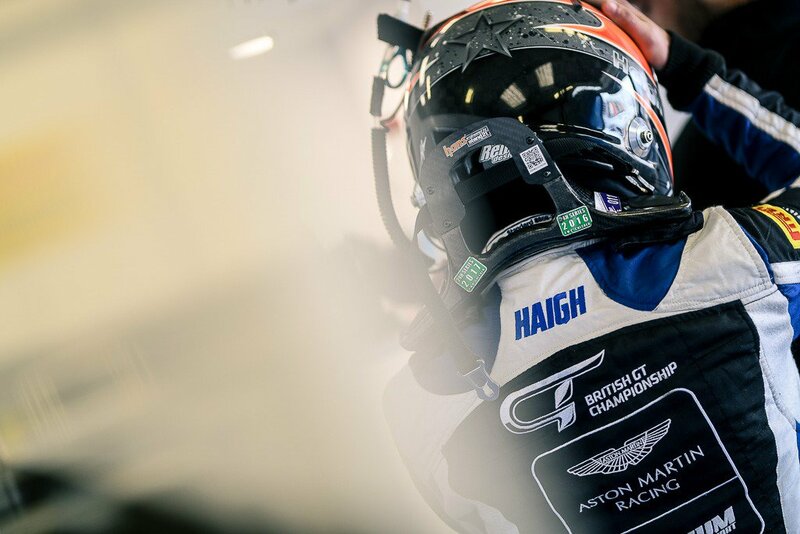 Unfortunately, we do not see the return of the defending GT3 Championship partnership of Flick Haigh and Jonny Adam to the Championship as Adam has since swapped back to the TF Sport squad and Haigh has sadly been unsuccessful in placing the necessary financial package together in time to return and defend her crown. 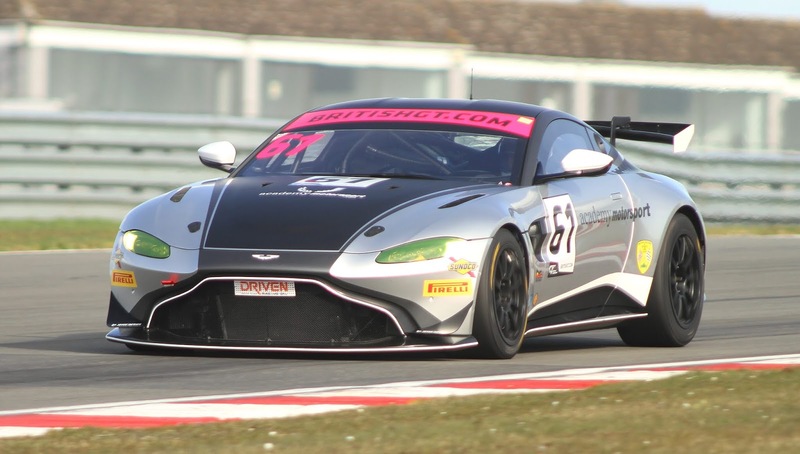 We do however hope to see her out at Le Mans in the Le Mans Cup race in June but that is also yet to be confirmed. Starting alphabetically, we'll have a quick look at who's who, why and in what...........! 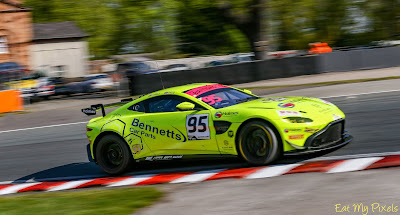 Matt Nichol-Jones has placed some serious investment into his Worcestershire based team over the winter months, investing in not only the new AMR Vantage GT4 but also with new transporters and garage and pit equipment as they return with another two car assault on the GT4 Silver Cup titles with their four new drivers. 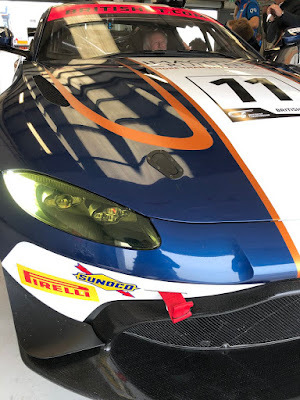 Micah Stanley joins the team and has prior experience of GT4 racing having competed in the GT4 European Series with fellow AMR team Street Art Racing and he is joined by Canadian Ben Hurst who steps across from the BRDC F3 paddock. They will race in the #61 car. 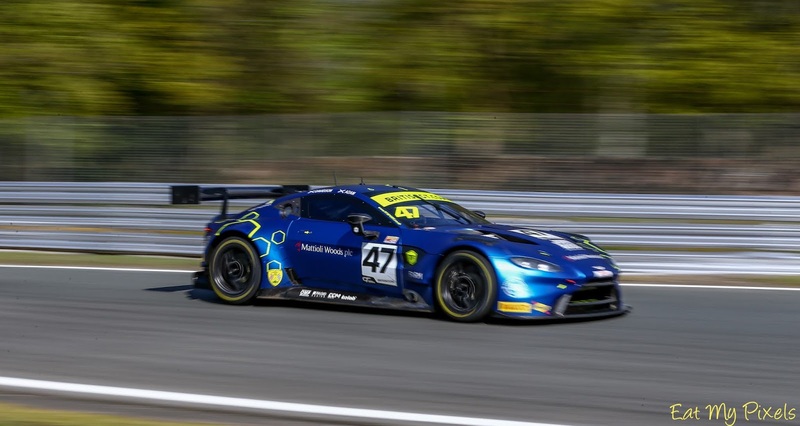 In the sister #62 car we see the unexpected return of team favourite Will Moore to the Championship having first indicated a sabbatical to his GT career in 2019 due to ongoing business commitments. 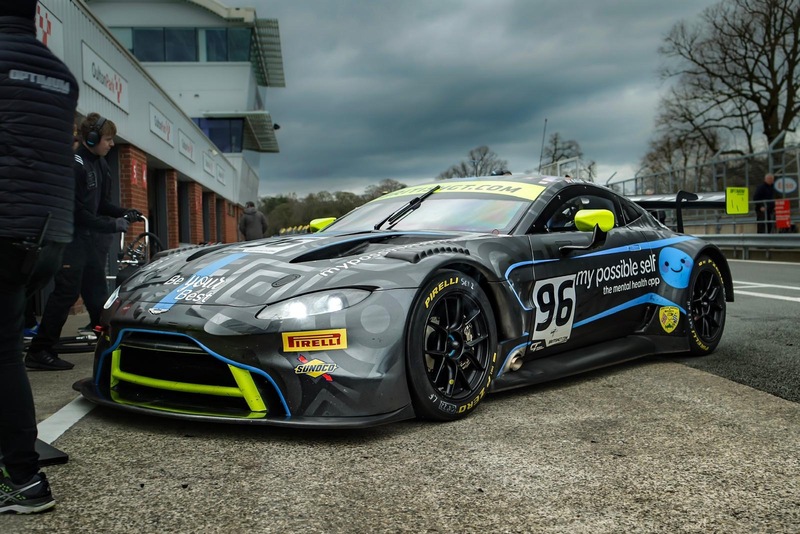 Obviously, the lure of the new AMR was enough for him to commit to another full season where he will be joined by newcomer and former Ginetta GT5 racer Alex Toth-Jones. 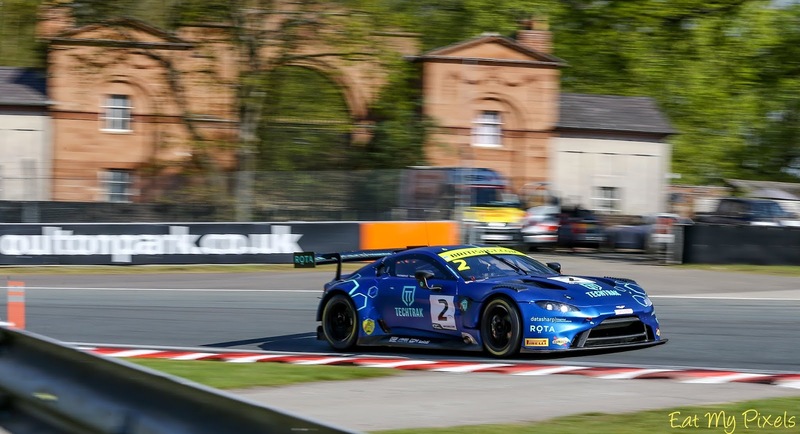 The team arrive at Oulton Park 'fresh' from a successful outing at the first round of the GT4 European Series at Monza - we would imagine that the team will be hoping to avoid any repeat of last years rain at Oulton Park having had something of a damp weekend in Italy. 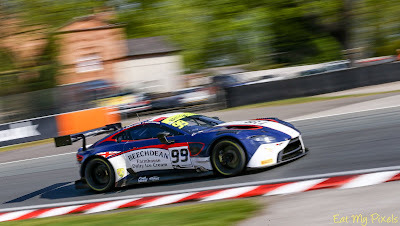 Never usually too far away from one of his collection of race cars somewhere is the return of Andrew Howard and his new Beechdean Ice Cream liveried Vantage GT3 for yet another year in British GT. 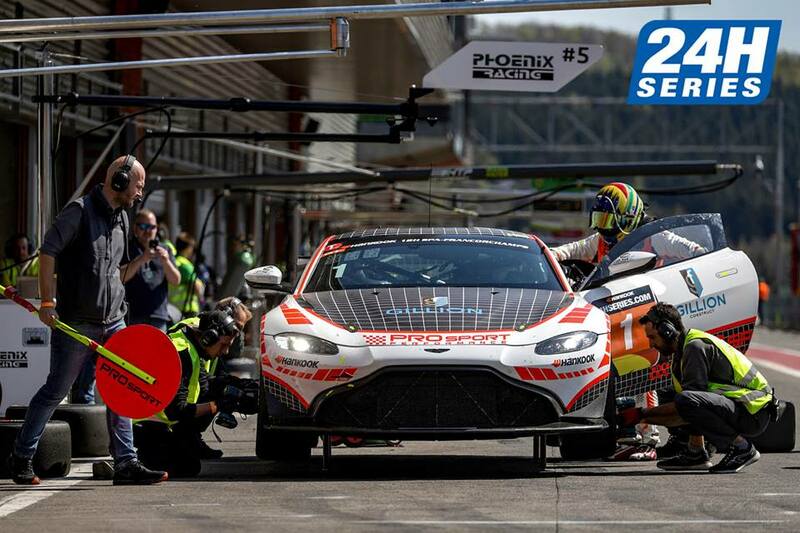 Having been partnered last year with AMR factory driver Darren Turner, this year sees the pseudo Dane factory driver (Turner) replaced with a real one in Marco Sorensen transferring to the team from TF Sport. Whilst Howard has already raced his latest acquisition twice so far this year now (Gulf 12Hr and opening round of Le Mans Cup) we don't think that the new pairing have actually had the opportunity to test together yet - not that Sorensen will take too much time to get up to speed again in the Championship being usually the fastest man on track in the old V12 Vantage in his debut season in the Championship last year. For the first time since 2015, sees Beechdean AMR return to the Championship with a GT4 and what a pairing that is as well as both Martin Plowman and Kelvin Fletcher switch to the Aston Martin platform from the somewhat unreliable Nissan. Business commitments have kept their testing regime down to a minimum but lap times at Media Day were impressive in a car that had only been delivered that morning. This pairing will certainly be worth a little wager! Like we mentioned above, last years Championship combination of Haigh and Adam have moved onto pastures new. 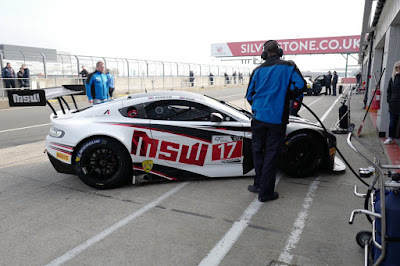 As soon as the above became evident as a possibility then that gap was immediately filled by an existing Optimum racing crew - that of Ollie Wilkinson and Bradley Ellis who raced with the team in the International GT Open Series in their older Audi R8 car. Since transferring to the teams new Vantage GT3, Wilkinson and Ellis have confirmed a busy dual season of both British GT and GT Open although we do expect the duo to miss the Silverstone round of BGT as that clashes with GT Open at Spa. 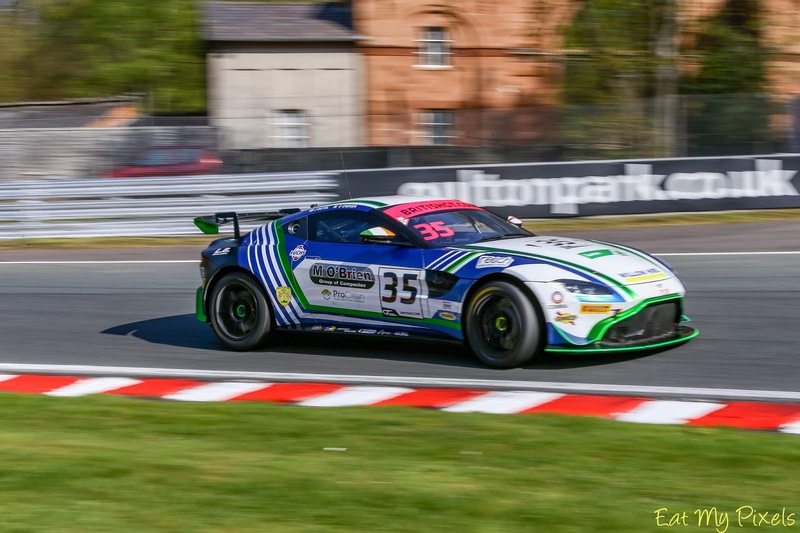 Wilkinson, another young man keen to be noticed taking another step up the ladder in what is a relatively short racing career so far is another car not to taken for granted as they race in the Silver Cup. 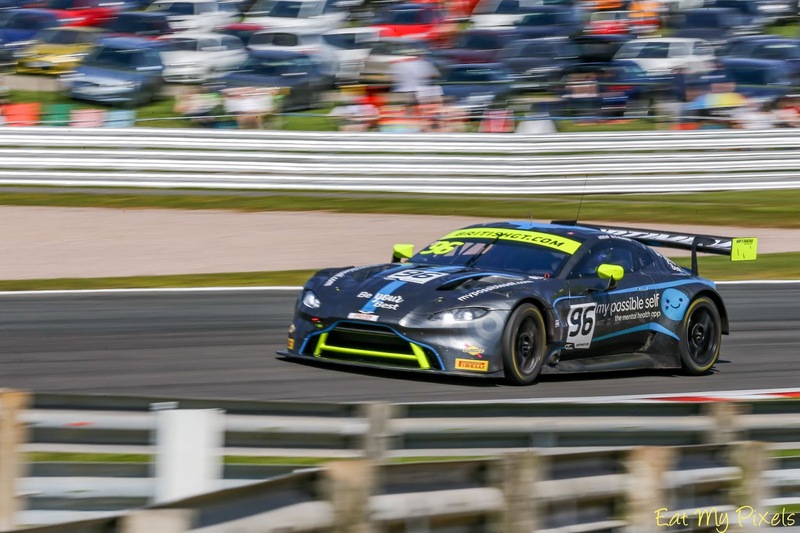 Like Beechdean AMR, Optimum team boss Shaun Goff has spotted the commercial advantages of entering into the GT4 arena and as such have two V8 Vantage GT4's confirmed for the Championship for the first time. Connor O'Brien takes a developmental step up with the team for 2019 as he raced with them last year in the Ginetta GT5 Series and he joins another young man with lots of racing experience (including LMP3) in Jack Butel in the #35 car. Where there is youth and courage in the #35 car then comes age and experience in the sister #75 car as former GT4 Champion Mike Robinson swaps to the Wakefield based team alongside another Dane in BGT GT4 race winner and Creventic 24H Series competitor Patrik Matthiesen. Now there's another car to watch! Finally but certainly no means least comes Sussex based TF Sport who return with their usual two GT3 entries but have also expanded out for 2019 to include two new GT4 entries as well. 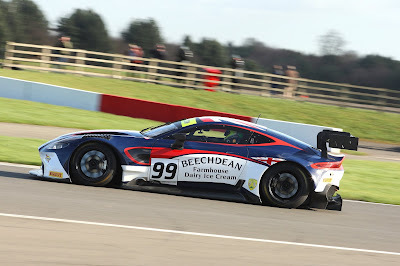 Sadly, we have already seen certainly the unofficial racing retirement of favourite Derek Johnston from the team (certainly for any full season of any series anyway) as well as his 2018 co-driver Marco Sorensen now being placed with the Beechdean team. 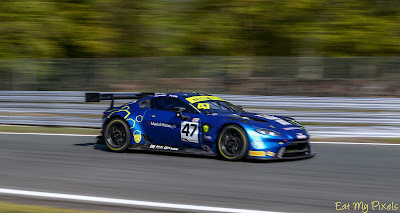 Their places were quickly taken by two Scots in the form of Graham Davidson (who raced last year with Jetstream and Maxime Martin) who will share his #47 with AMR Le Mans winner Jonny Adam. They say that inter team competitive rivalry can be a good thing and that will certainly be the case within the teams GT3 garage at least as Mark Farmer returns for another attempt at the overall crown along with his crazy Danish co-driver and birthday boy Nicki Thiim. 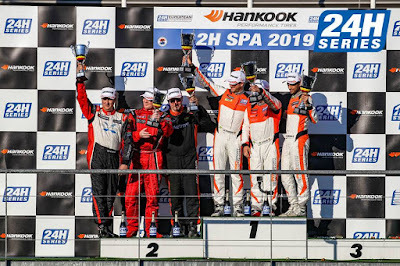 Having been the 'bridesmaid' to the GT3 Championship last year, the #2 crew will be looking to make amends to that and learn from the mistakes of last year in order to take that so far illusive crown. 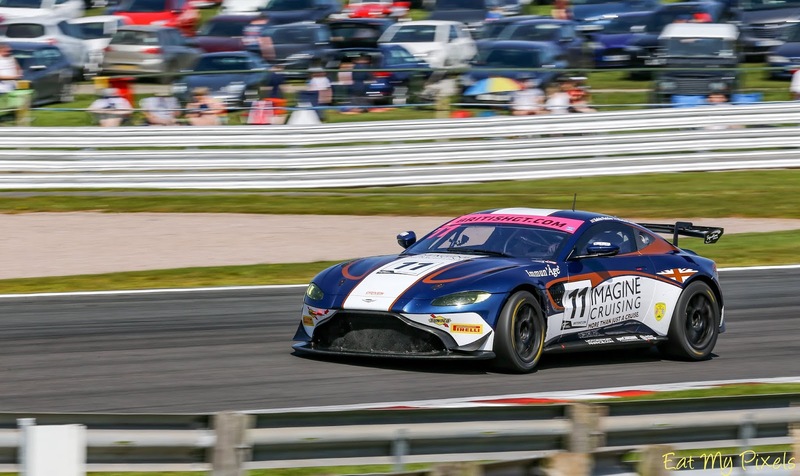 Not since the teams formation in 2014 have they ran a GT4 in the British GT Championship and for the 2019 season they field two such cars for four young guns wanting to progress in their GT racing careers. 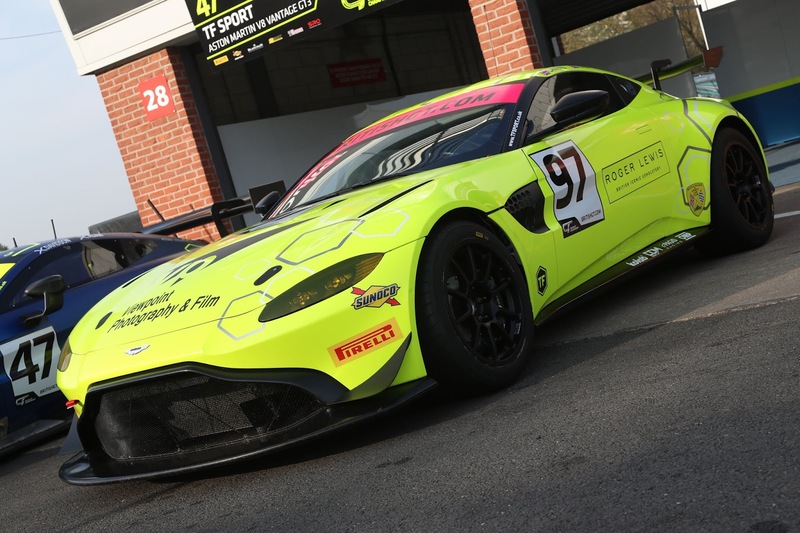 Having had their own pre season testing restricted due to the availabilities of their two new cars from the Prodrive factory, the four new drivers have had to rely upon the availability of the AMR GT4 development car for much of their present season testing. 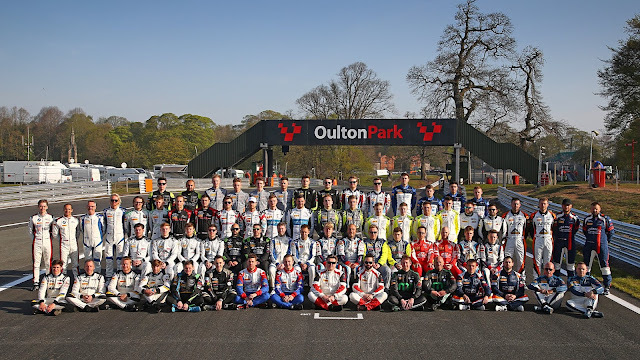 What has also happened during this time is a change in their driver line up due to one previously announced lad having to back out at the last minute. Driver line ups are now confirmed as being Tom Canning and Ashley Hand in the #97 car and Patrick Kibble and Josh Price in the #95 car. 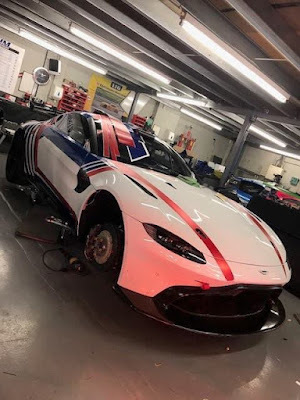 Neither GT4 car - nor the Adam/Davidson GT3 have had their race liveries confirmed yet - we understand from the team that this will be done on Friday. 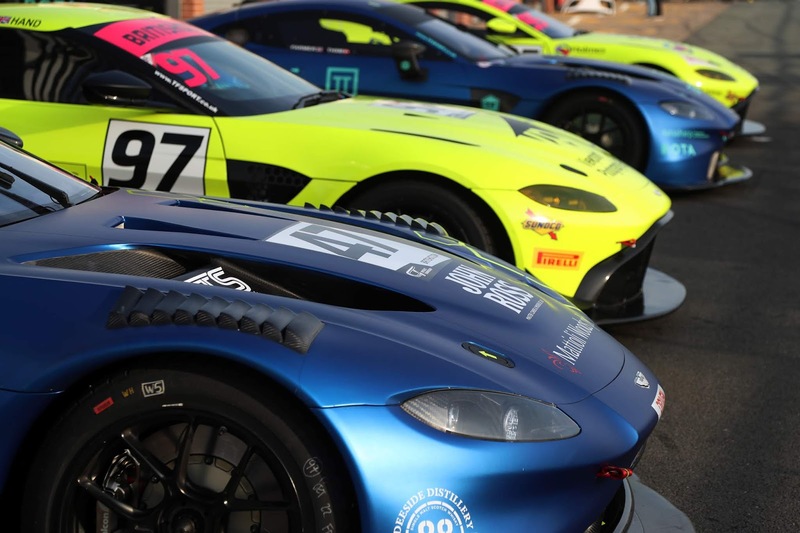 With most of the younger AMR team drivers also now signed up to the Aston Martin Racing Driver Academy we are sure that we will see them eager to impress both behind the wheel and the camera lens as they jockey for position for that prize of an AMR Junior Driver contract. Competing over the Bank Holiday weekend sees Free Practice and Qualifying take place on Saturday whilst both one hour races take place on the Bank Holiday Monday. 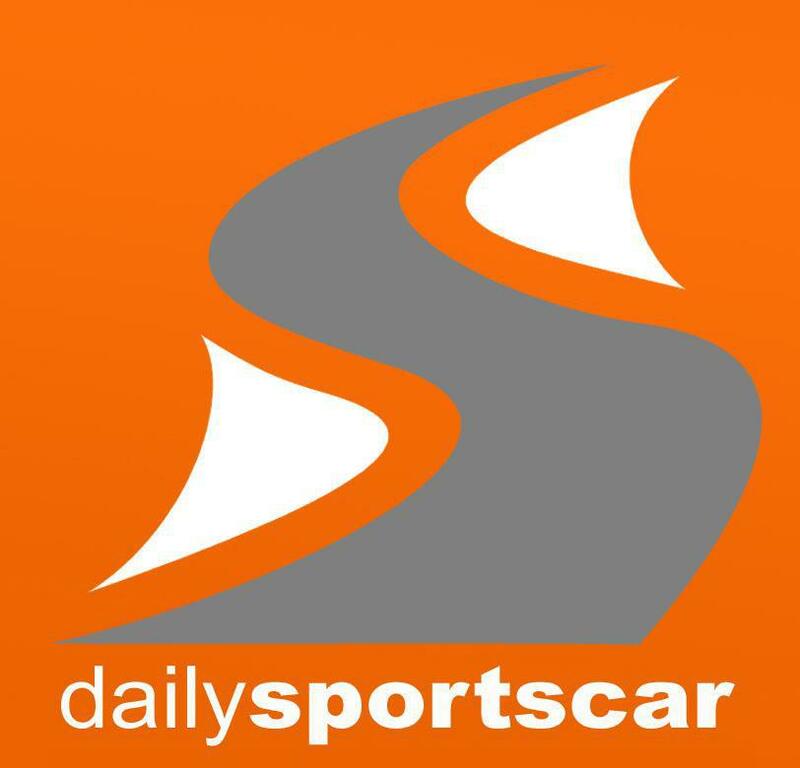 The timetable to the Championship opener can be found HERE. 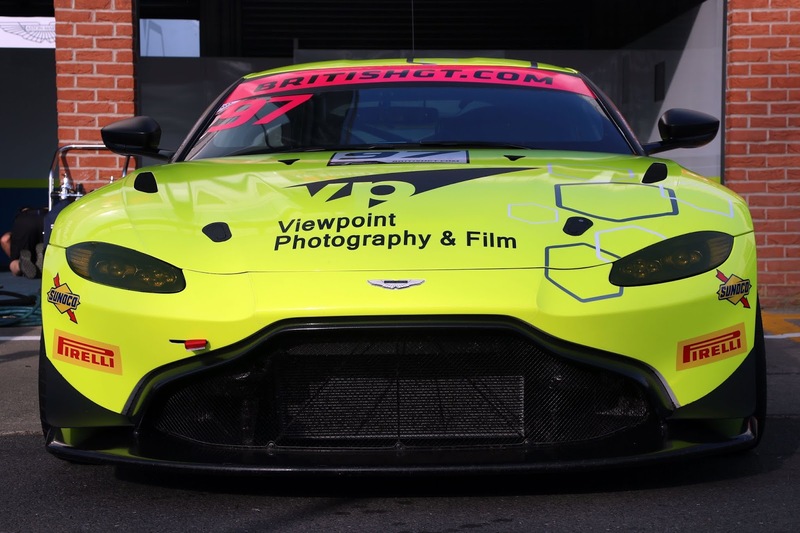 Interesting news coming out of Aston Martin Racing today with the confirmation of two new V8 Vantage GT4's being entered by the factory team into the ADAC Total 24H from the Nordschleife this June. Supported by the local AMR Performance Centre, drivers Alex Brundle, Jamie Chadwick, Chris Goodwin, Darren Turner, Ross Gunn and Peter Cate have all be confirmed. For the former 2015 British GT GT4 Champion Jamie Chadwick, she has now also now gone on to be confirmed today as another junior works driver for the team and follows in the footsteps of Andrew Watson and Charlie Eastwood who have also recently risen to such status. 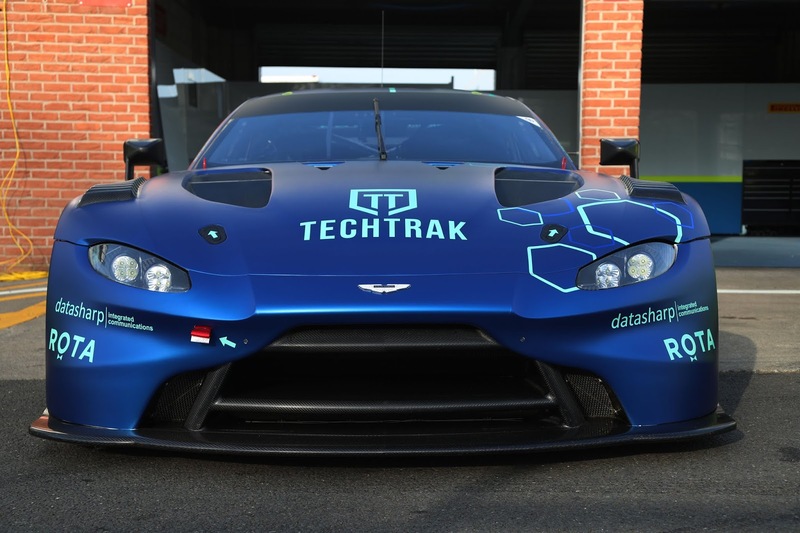 With the possibilities of any factory entered GT3's into the race looking a distant possibility for 2019, this news will be the closest that we shall get to that this year. 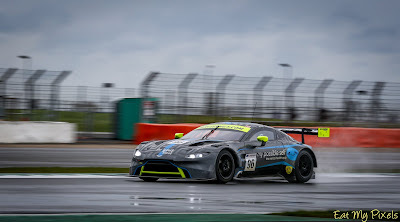 That doesn't necessarily mean that there will be no Vantage GT3's at the N24 this year as Garage 59's co-owner Alex West is presently going for his full Nordschleife Permit in the opening rounds of the VLN Series this year so we will have to wait and see. Chadwick and Brundle will start upon this AMR project together at next weekends VLN Series race and then again at the Qualification race in May. 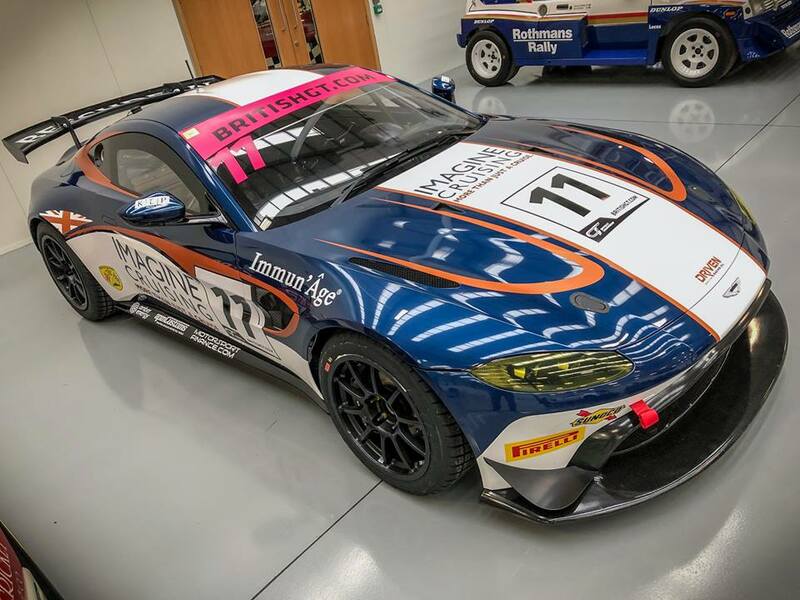 They will be joined by Aston Martins Nordschleife specialist Peter Cate and AMR factory driver Gunn racing in the SP10 class. Brundle had his first taster of the new Vantage GT4 at the BRDC Track Day event at Silverstone yesterday. 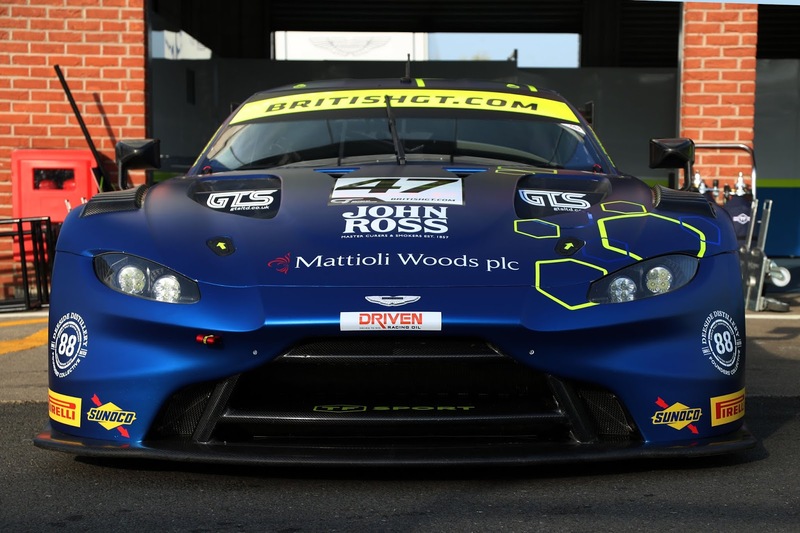 The second car entered into the SP8T class will be made of of Darren Turner, Chris Harris, Chris Goodwin and Christian Gebhardt with a third Aston Martin - the extremely successful Vantage GT8 being entered by a customer squad. The ADAC Total 24 H race takes place over the weekend of 22-23rd June - thats the weekend after Le Mans 24Hr!! 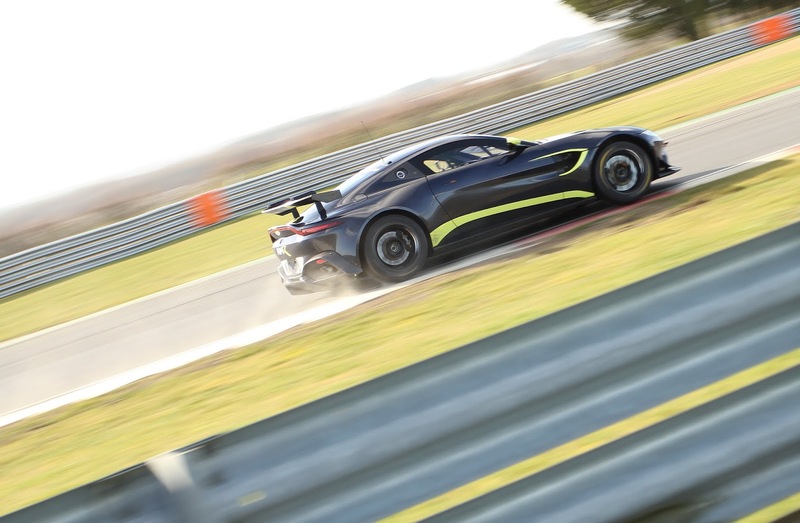 BRDC's track day with a difference! 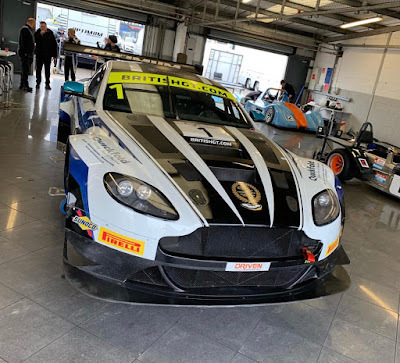 Interesting faces past, present and future were in attendance at the British Racing Drivers Club Track day event from the home of British motor racing at Silverstone today. Aston Martin Lagonda CEO Dr Andy Palmer was there along with his race suit as he put in some laps aboard the new Beechdean AMR Aston Martin Racing V8 Vantage GT4 that Kelvin Fletcher and Martin Plowman will race in this weekend at the opening round of the 2019 British GT Championship season. His conclusion to the his first experience of the new race car around the Grand Prix circuit was more than adequately summarised in his "My first drive in anger of the @astonmartin @AMR_Official #Vantage GT4 race car. No better place than at Silverstone to experience it. Its just bloody awesome!" tweet. 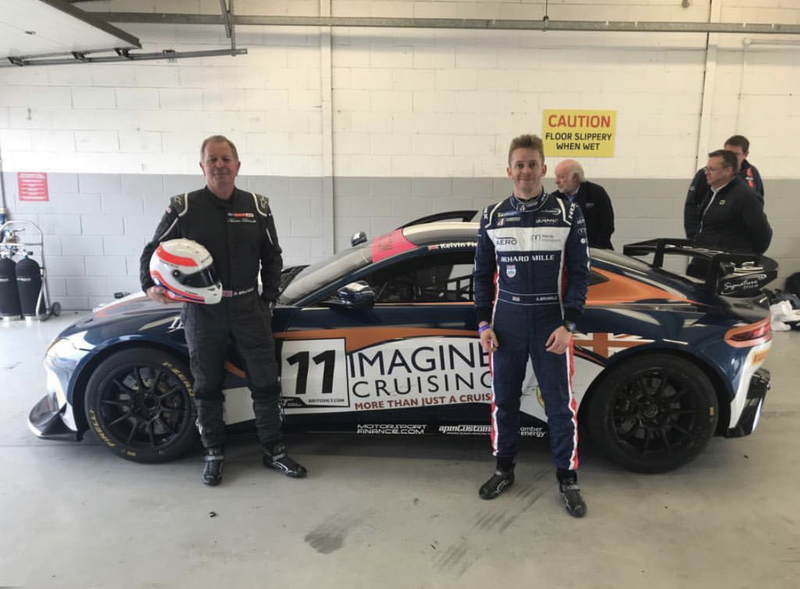 He was followed in that car by the two racing generations of the Brundle family as both Martin and Alex prepare to take the next step to be able to race together at the Nordschliefe. From all accounts Alex will be at the next round of the VLN Series next weekend aboard one of the AMR Performance Centre cars. Finally, it was great to see the return of both Derek Johnston and Flick Haigh with their own AMR V12 Vantage GT3's that they raced in last year - to great effect for Haigh as she and Jonny Adam (also in attendance) won the British GT overall Championship aboard the Optimum Motorsport prepared car. 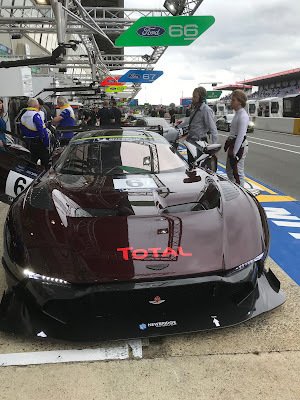 Johnston was also there in his now fully rebuilt car was again being supported by his friends at TF Sport - what other events have been pencilled in for the now 'retired' former Champion have yet to be confirmed. The track day was made up of a plethora of other road based and race cars from all of the marques and age. 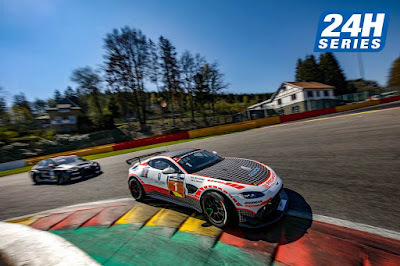 Having spent consecutive weekends away at a racetrack somewhere in Europe either testing or racing in the ADAC GT4 Germany or GT4 European Series, its back to another race track again this weekend for German based PROsport Performance for the second round of the 24H Series European GT Championship from Spa Francorchamps. 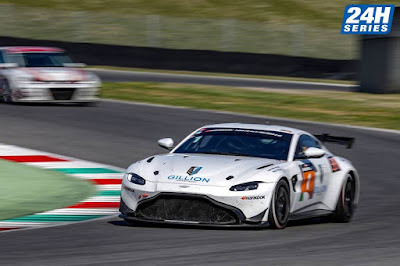 Despite suffering from technical issues in the first part of the 12 hours of Mugello opener at the end of March, the trio of drivers (Nico Verdonck / Rodrique Gillion and the late entry of Akhil Rabindra) went on to secure the new Aston Martin Racing V8 Vantage GT4's first podium of its 2019 racing career with a P2 finish. 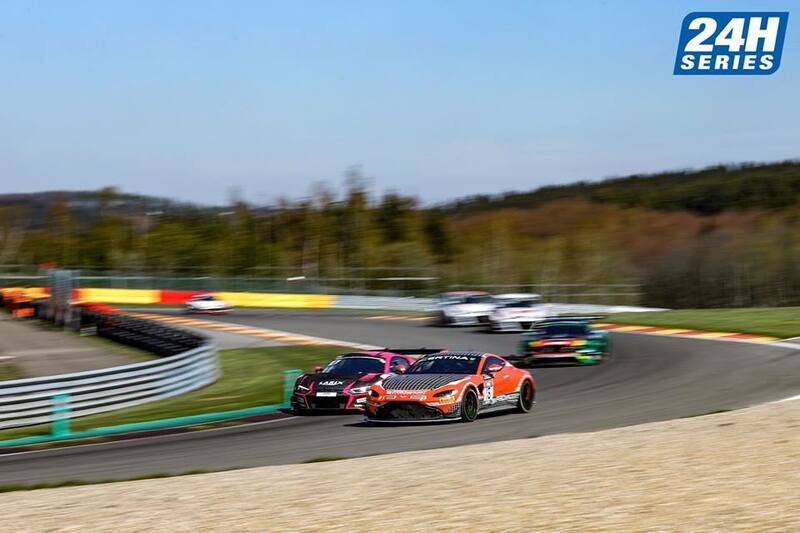 The entry list for Spa shows just the original two drivers of Verdonck and Gillion for another 12 hours of racing around one of the toughest race tracks the world has to offer so we won't be surprised if another name falls into the equation before the start of the race on Friday afternoon. We also do not yet know which chassis they will be using - its just a choice of red or white!! 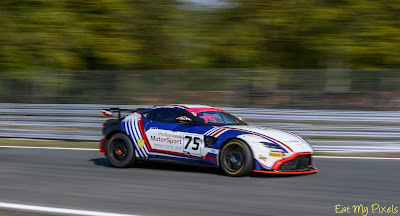 PROsport Performance spent last weekend racing at a very wet Monza so that will be hoping for no repetition of anything that Spa is renown for! 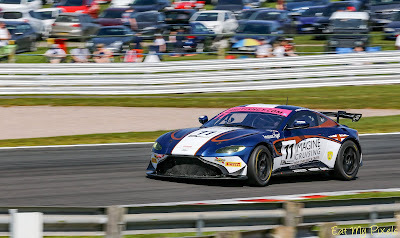 Casting an eye over the entry list for this weekends opening round of the Aston Martin Owners Club at Donington Park caught a couple of interesting names. 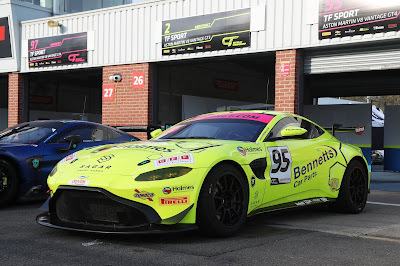 Amongst the many brands and models of cars within the Intermarque and GT Challenge races came the usual usual AMR Vantage GT4 suspects of Robin Marriott and David Tinns with the Stratton Motorsport team as well as the Vantage N24 of Newbridge Motorsport. 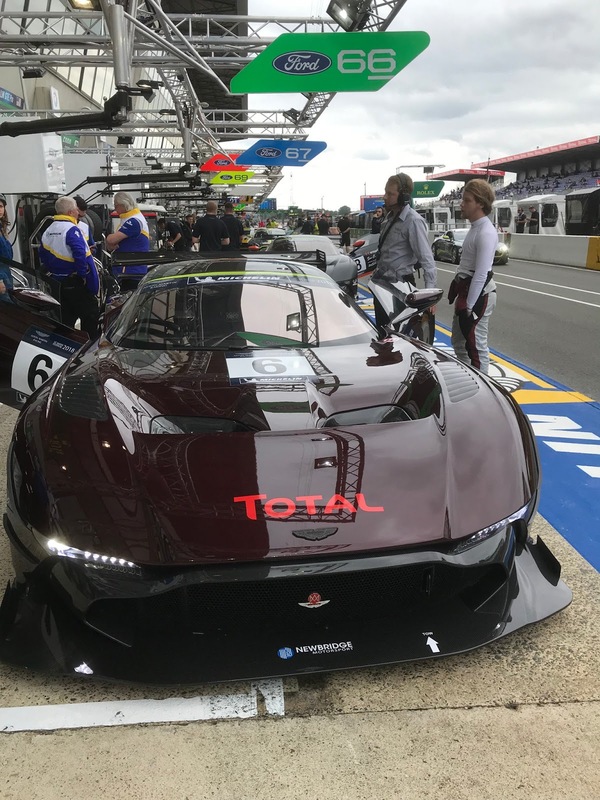 One of Newbridge's customer is Gleb Stepanov and once again it looks like he will be bringing his own Aston Martin Vulcan to race around the track in the GT Challenge race alongside co driver Stephen Tomkins albeit in the INV class as seen in the photograph above taken at the Aston Martin Festival at Le Mans last year. This is the chassis that RML made into a road legal variant before Stepanov upgraded it to an AMR version of the car! 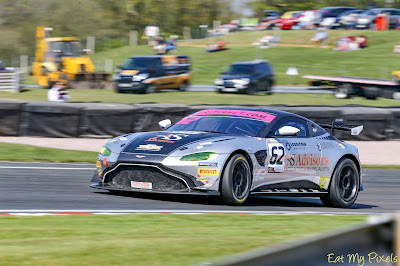 Also competing against them and in a much lower powered Vantage GT4 will be one Marek Reichman of Aston Martin Lagonda. Racing activity takes place on Saturday 20th April.